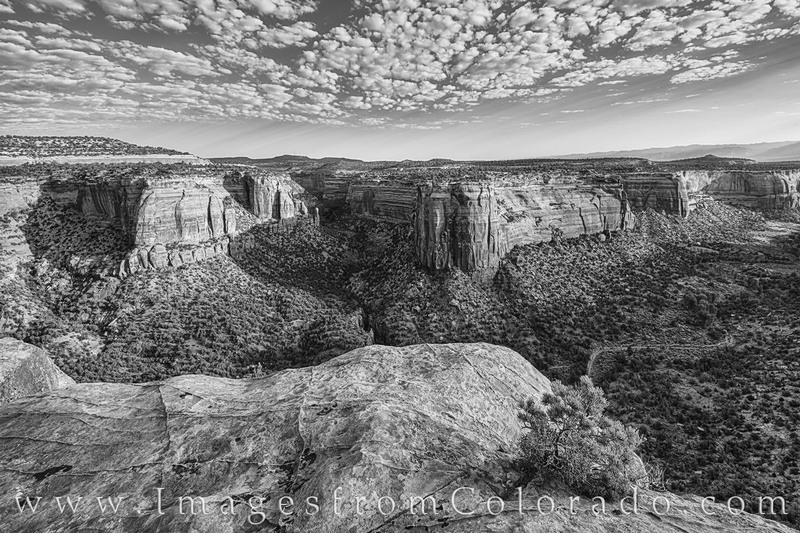 This black and white image comes from a small rock overlooking Ute Canyon in Colorado National Monument, a vastly underrated national park just west of Grand Junction. Taken in the morning, the clouds were nearly perfect, and the black and white version allows the streaks of light and shadows to show up even better in the sky. Far below, a small trail winds through the valley, calling for visitors to join the path to see where it leads. Photo © copyright by Rob Greebon.